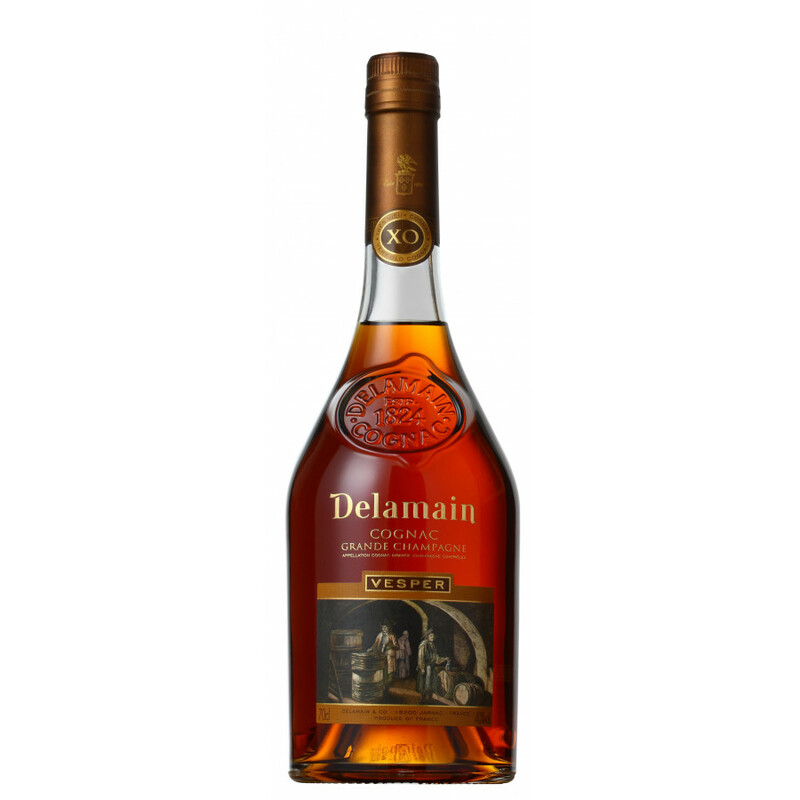 The Delamain Vesper Grande Champagne Cognac is a blend made from different old eaux-de-vies. It's a pure Grande Champagne blend, that's gradually brought to its consumption strength of 40% by the slow addition of very old, weak Grande Champagne eaux-de-vie of 15%. These are known as 'vieilles faibles' and are used to carefully lower the high alcohol content of the rest of the blend. It's a tricky process! All of the components of the blend are selected by Delamain, and then each one is aged in separate barrel. Eventually they are brought together to be matured in a sinlge 350 liter Limousin oak cask. This process is known as 'marriage'. The concept of Vesper was first launched in 1953, and today the label still carries the marks of a cellar engraving from 1790 by J.H. de Boissiere. A Cognac that's well deserving of the awards it's won, a perfect example of one offering body, roundness, maturity, maturity, and real length. Delamain Vesper is a superb cognac. Very woody, earthy and well balanced. A very matured cognac that is overlooked sometimes. Long finish that seperates itself from alot of other cognacs, very enjoyable. The authority when it comes to older, Grand Champagne cognac. 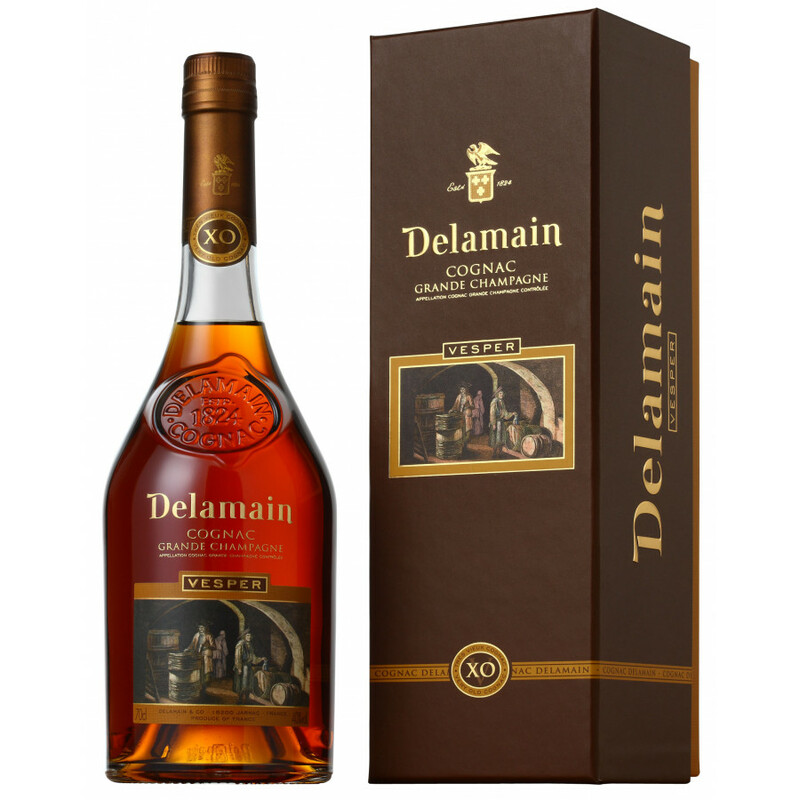 The best from Delamin (also good is Dry and Pale Delamain) so far, in that price range.